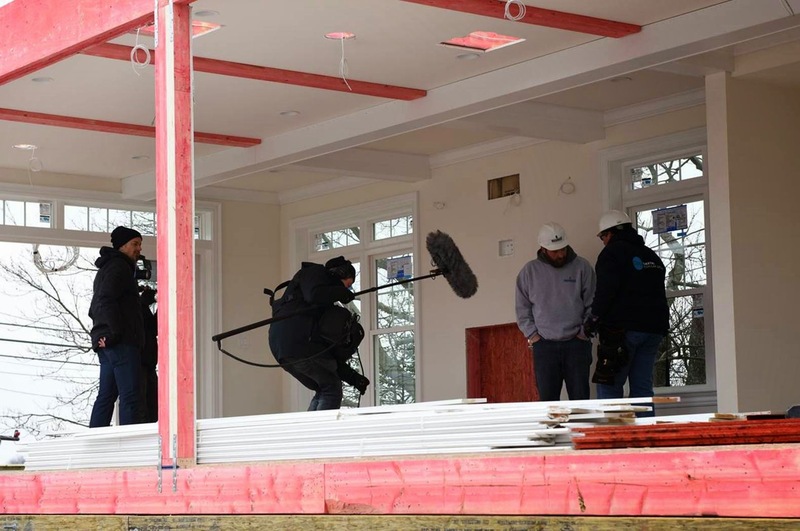 Eco Building Products, Inc. announced that filming took place last week with DIY's Break Neck Builds TV and Coastal Modular out of New Jersey. With a focus on modular construction, Eco Red Shield Advanced Framing Lumber was selected for this project as the framing lumber of choice. Steve Conboy, President & Chief Executive Officer of Eco Building Products, Inc. stated that "The producer of Break Neck Builds TV approached Eco inquiring if we knew of any reputable residential modular companies that would like to be involved in their reality TV show. We introduced them to Coastal Modular Group even though we knew this show was not about our brand because our effort is focused on supporting our Certified Defensive Builder network with media. Coastal Modular Group turned to Durabuilt Homes in Selinsgrove, PA to build the home for this special project. 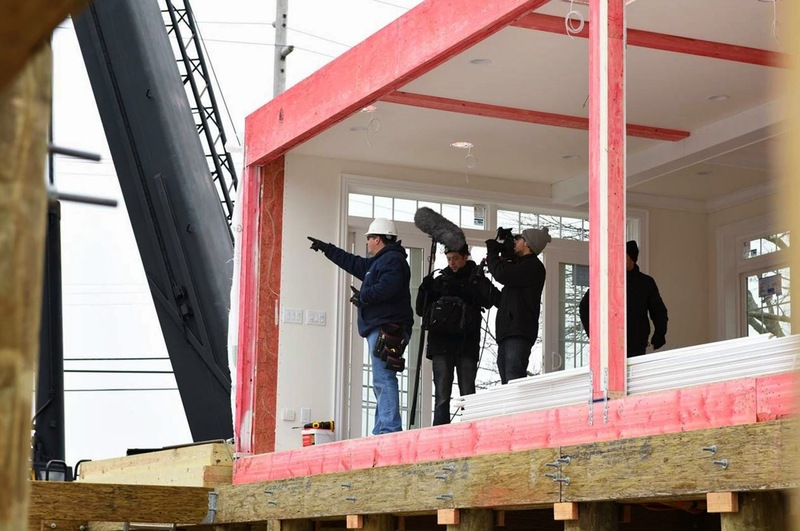 It will be crystal clear when this show airs, that this home was built with Eco Red Shield Advanced Framing Lumber. Whether it be national exposure via Reality TV or something as simple as a real estate yard sign posted in front of a job site screaming "ASK US WHY IT'S RED", our approach is producing results supporting the Company's business plan. We support our builder and supply partners with strategic marketing and media, exposing their business and decision-making process toward using a defensive protected lumber product, and this show serves as another great example." Eco Building Products, Inc. is a manufacturer of treated wood products that are protected against fire, mold/mycotoxins, fungus, rot-decay, wood ingesting insects and termites by our proprietary eco-friendly chemistry utilizing ECOB WoodSurfaceFilmTM and FRC™ technology (Fire Retardant Coating) leading the world on Defensive Innovations through the implementation of defensive building practices. Love the show!!!!! Having been involved in the construction industry for over 30 years, I understand that the narration of the show is mostly intended for the general audience, not knowledgeable of construction. There are many of us who are thoroughly familiar with construction techniques and terminology and are just as motivated to watch this show and marvel at the process. "Cement" is the paste which binds and hardens the the components of "concrete". Crews "Place" concrete in the forms. Concrete "Cures" in the forms... etc. Thanks for a great show, but proper usage of terms would sound better.